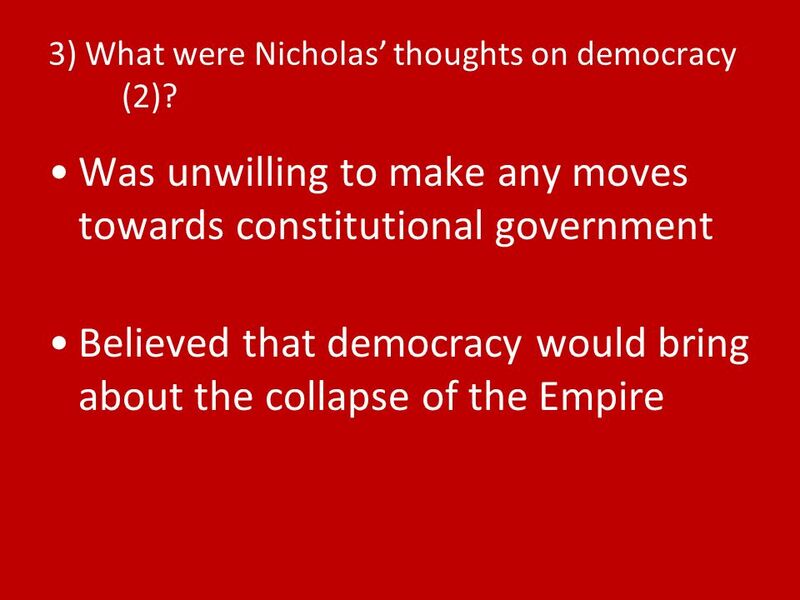 1) What was needed to sustain the work of Alexander III? A like-minded man keen to involve himself in the hard work of government to succeed. 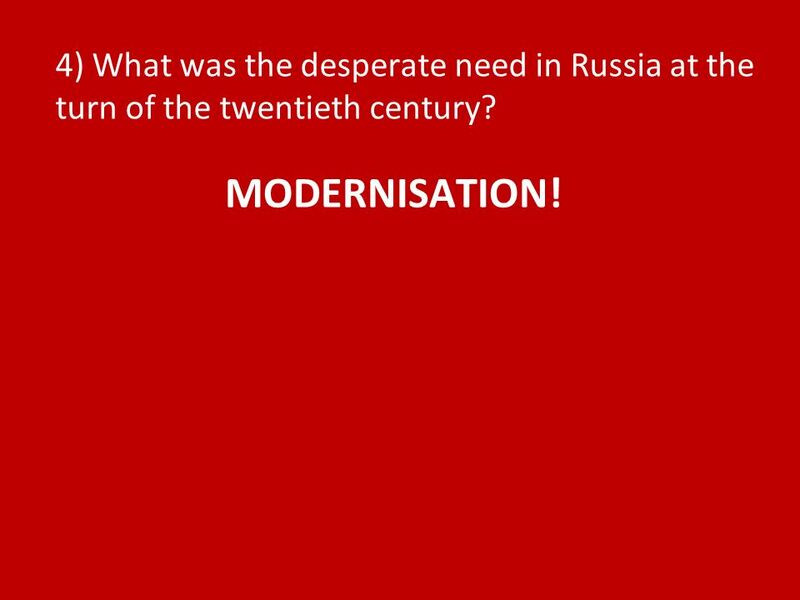 5 4) What was the desperate need in Russia at the turn of the twentieth century? MODERNISATION! 10 9) What industry did he rely on heavily to do this? 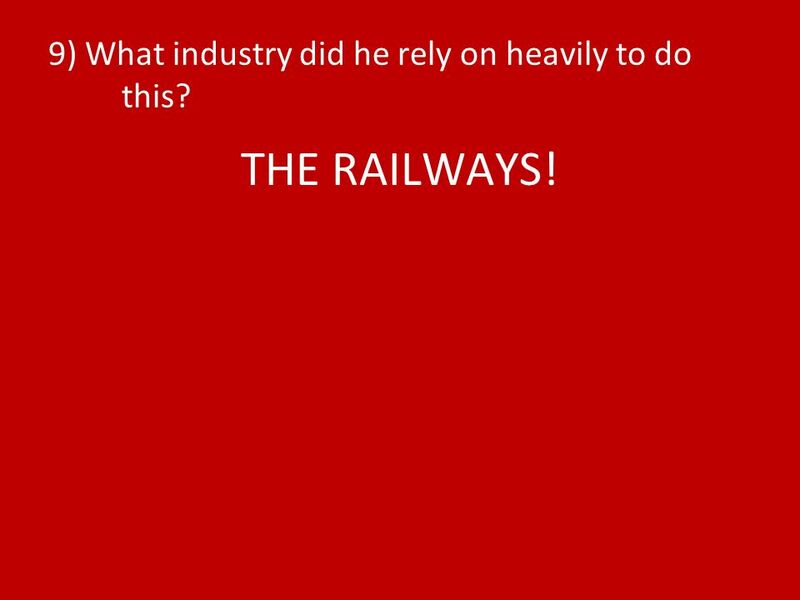 THE RAILWAYS! 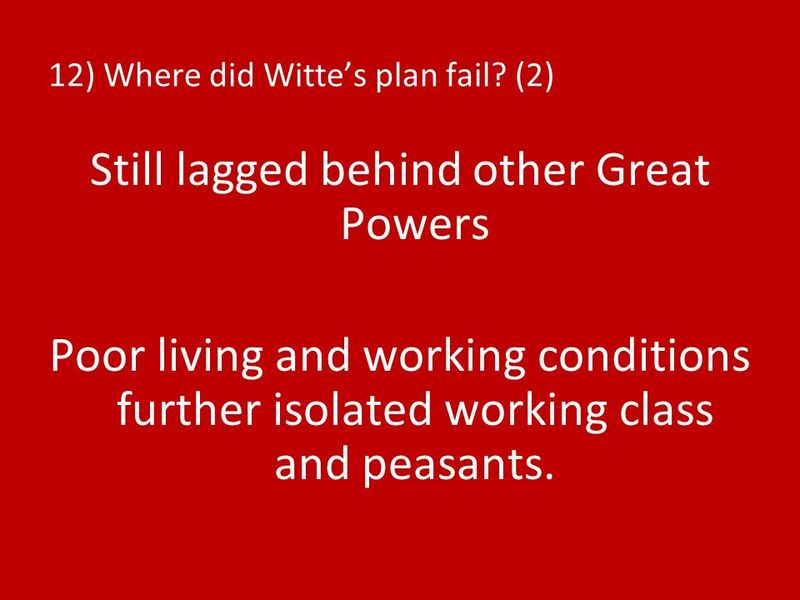 13 12) Where did Wittes plan fail? 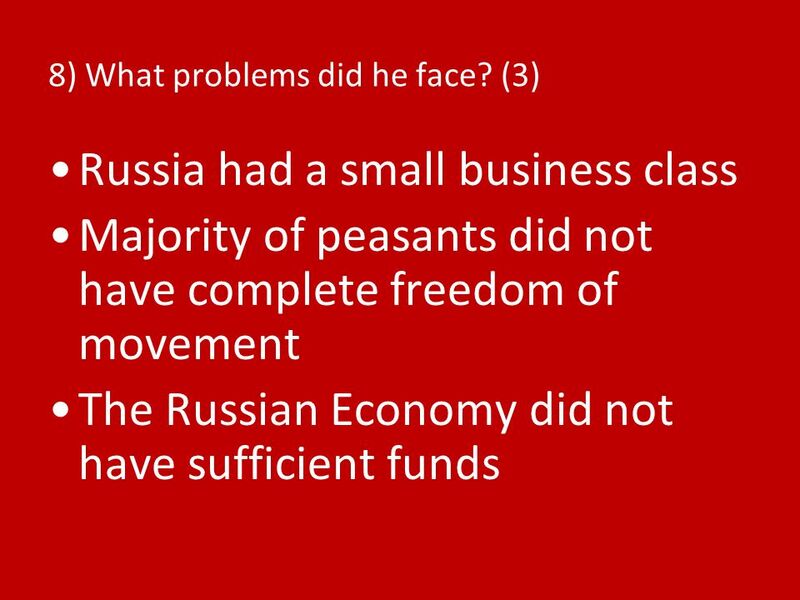 (2) Still lagged behind other Great Powers Poor living and working conditions further isolated working class and peasants. 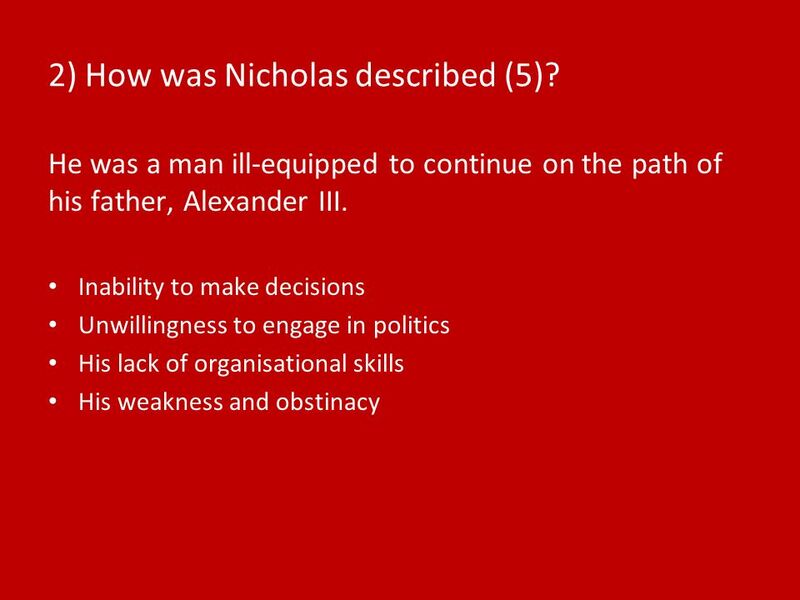 Download ppt "1) What was needed to sustain the work of Alexander III? A like-minded man keen to involve himself in the hard work of government to succeed." Alexander II ( ) Perhaps the greatest Czar since Catherine the Great Perhaps the most liberal ruler in Russian history prior to 20th century. Rules  Everyone speaks  Everyone gives their opinions and why  No one interrupts  Everyone listens to each other. Aaron Johnson.  The 19 th centaury saw a new desire by Western empires to extend and expand their power into East Asia. This meant that once very isolated. THE CRIMEAN WAR. THE INVASION OF TURKEY BY RUSSIA. 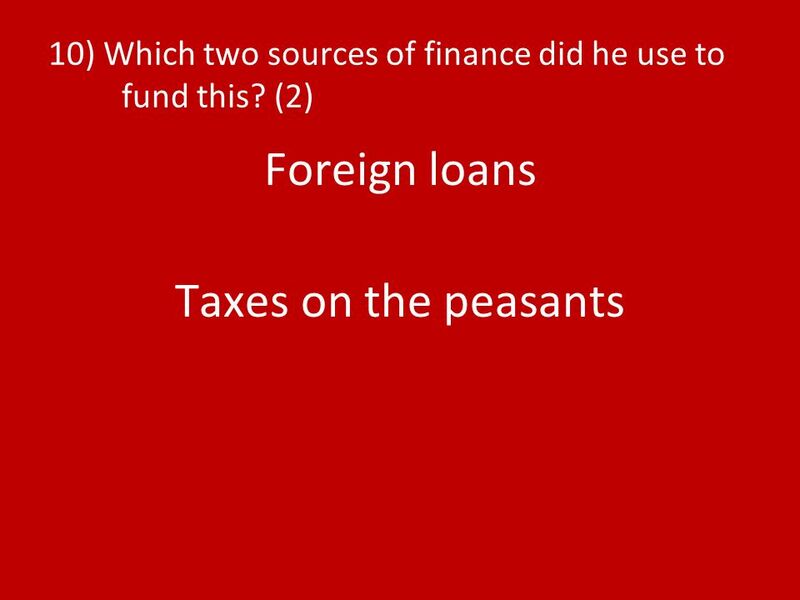 Treatment of the peasants 1.Why is it important to study the history of the peasants? 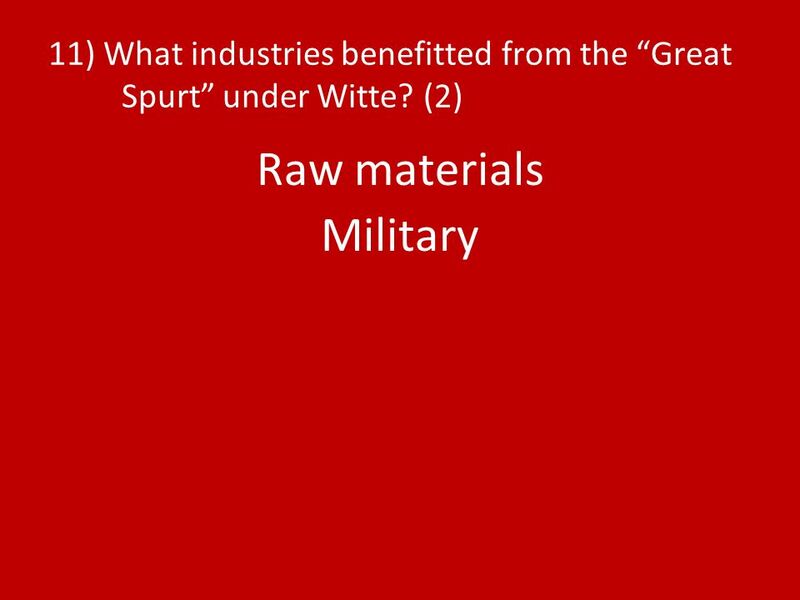 2.Why was there some desire not to emancipate the serfs? 3.Why was. 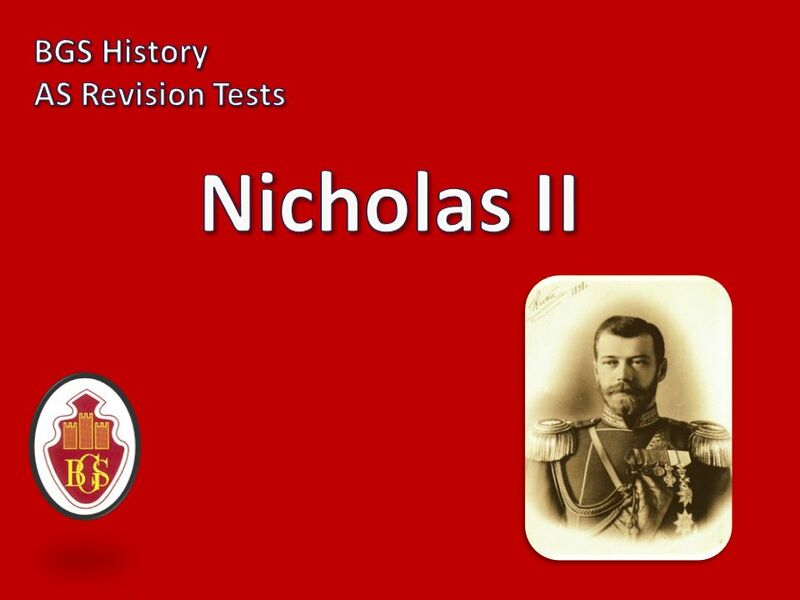 Imperial Russia Imperial Russia Russian Empire in last half of nineteenth century - vast expanse of land; Siberia rich in natural resources 1891 Trans. RISE OF THE REVOLUTIONARY MOVEMENT “Every revolution was first a thought in one man’s mind” Ralph Waldo Emerson. What impression of the Tsar are you given from Source 1? Do you think the Tsar would want to be seen this way? Why? Do you think lots of parts of society. 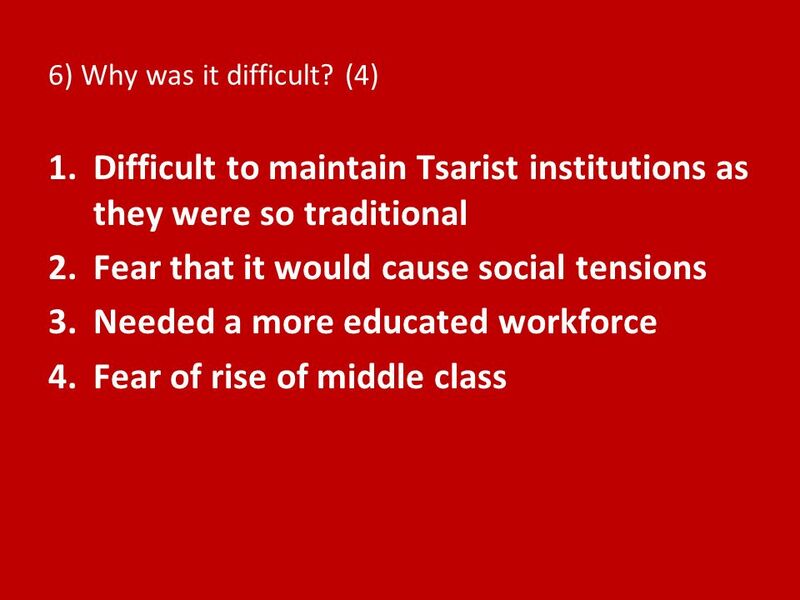 Ottomans and Russians: 19th century zNeed for reform--political,social, and economic if they were to keep up with the West. zReforms were attempted, but. 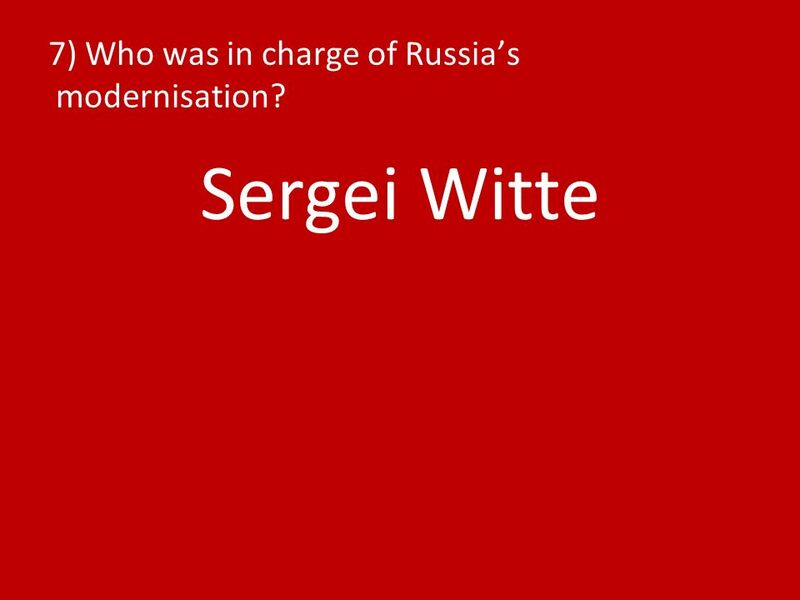 Russia: Industrial Development and the Birth of Bolshevism.